Return to the world of David Lynch's Twin Peaks with the Twin Peaks Enamel Lapel Pin 3-Pack. 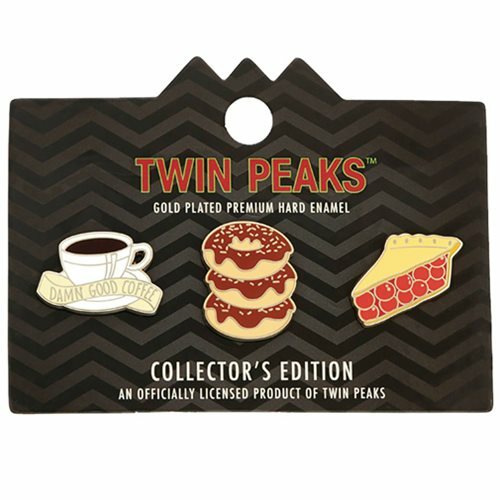 In this collector's edition, each gold-plated premium hard enamel pin features an icon from the series, like a cup of that "damn good coffee" and a slice of cherry pie! Ages 14 and up.